I’m not in law enforcement, and I don’t wear a gun on a daily basis. 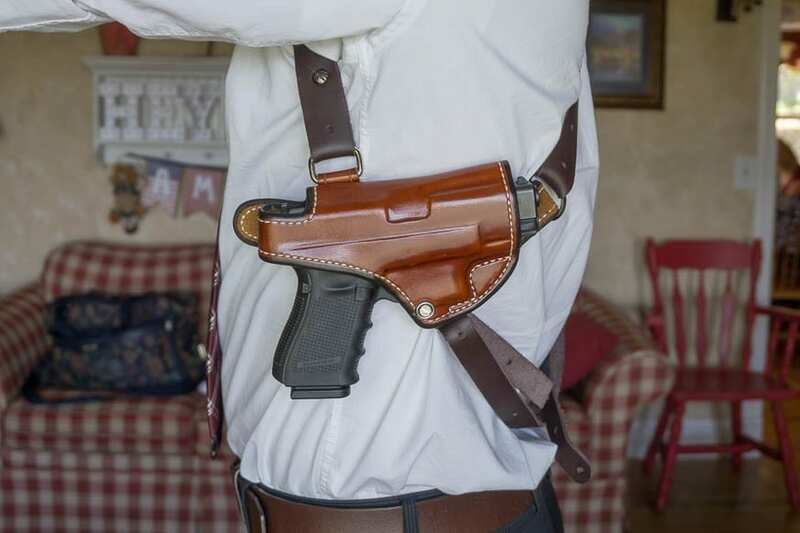 The truth is, my interest in holsters comes primarily from Indiana Jones and Uncharted. In other words, I was imagining a quest for Shangri La instead of considering functionality. I spent a lot of time looking for a certain style, something with a renegade panache. 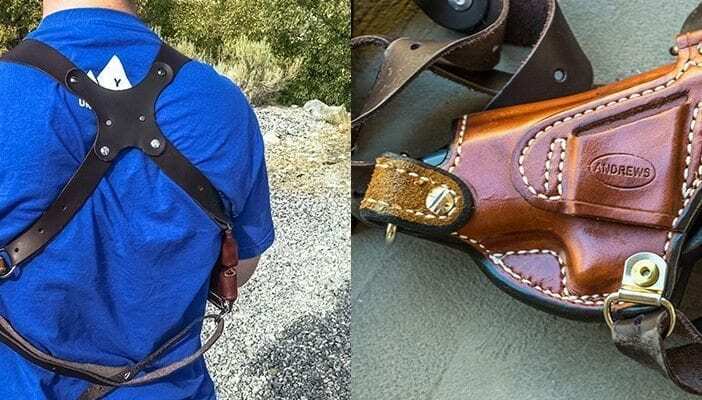 I was pleasantly surprised to discover the Andrews Leather Monarch Shoulder Rig and Holster, which excels in both style and utility. He spoke with a kind, mild, sincere tone. And although he mentioned being overloaded with orders, he seemed in no rush as he chatted with me. He told me he doesn’t do email—his hunt-and-peck typing is just too slow. And he prefers speaking directly with the customer anyway. Sam said he’s been doing leatherwork for 41 years. 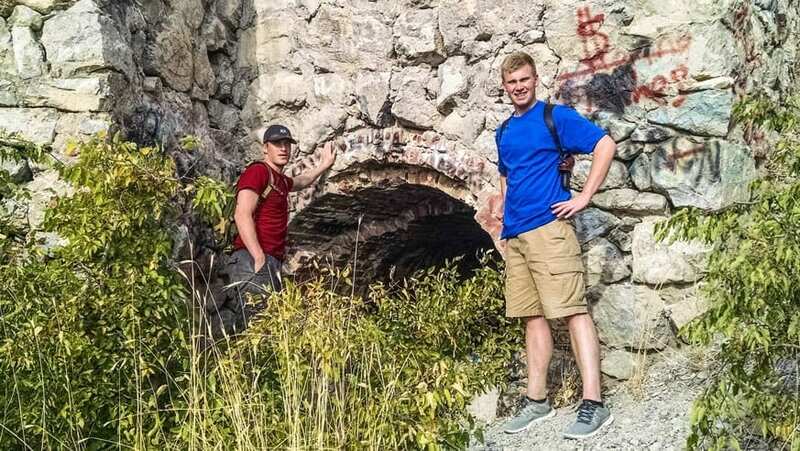 It began when as a teen he cut apart a ruined police holster. 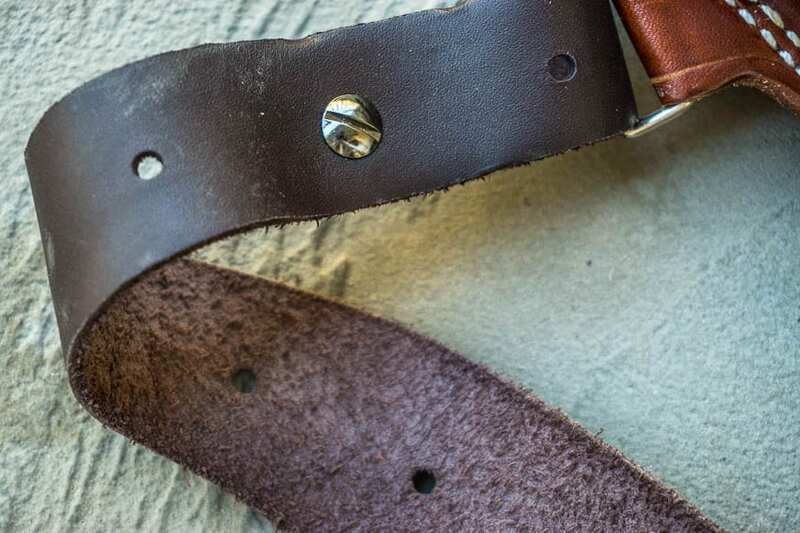 Later he served as a police officer but left “because of the politics.” That’s when he stumbled into leathermaking as a career, and his business has been quite successful ever since. 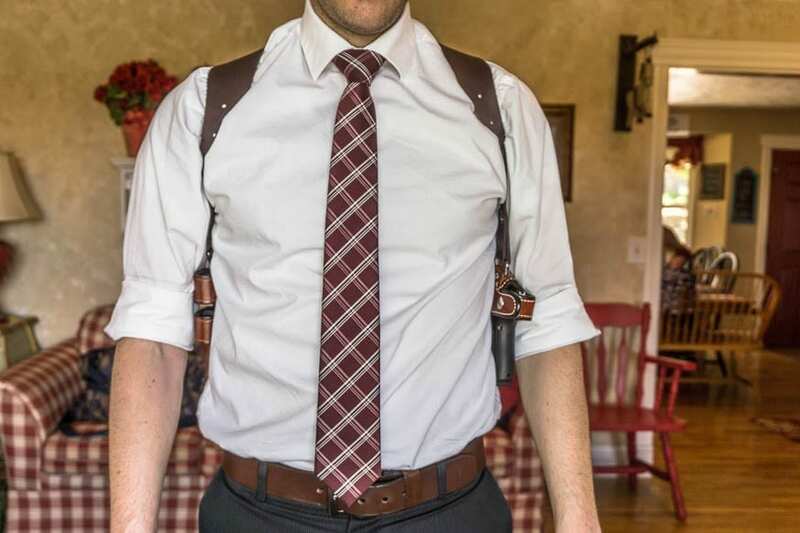 I first put on Sam’s Monarch shoulder holster while standing in front of a mirror, and I couldn’t help but grin. The shoulder straps are made of a lightweight suede, which at first seemed a little too lightweight. But I soon realized this was for comfort. 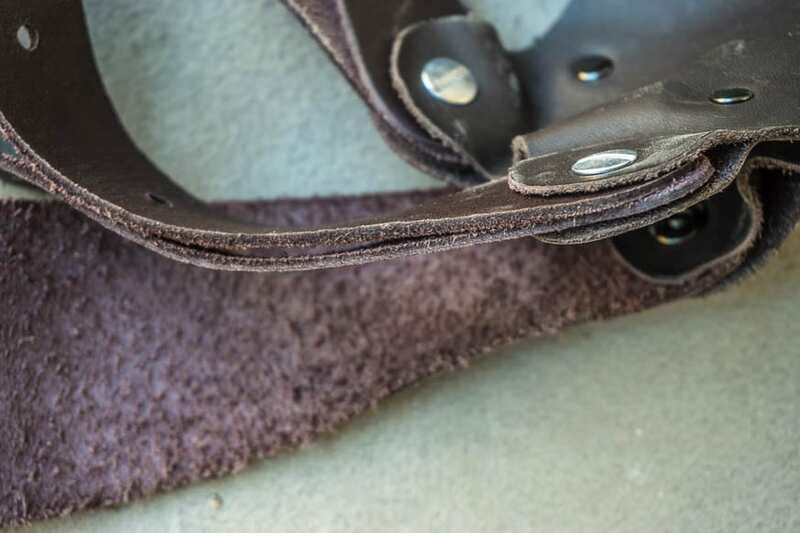 The suede trades durability and gains softness. It’s comfortable against your back and conforms to your body. I’ve never tested my bodyweight against it though, and I wouldn’t plan on hanging from it while sliding down a zipline. But it’s more than adequate for carrying a Glock and a couple loaded magazines. 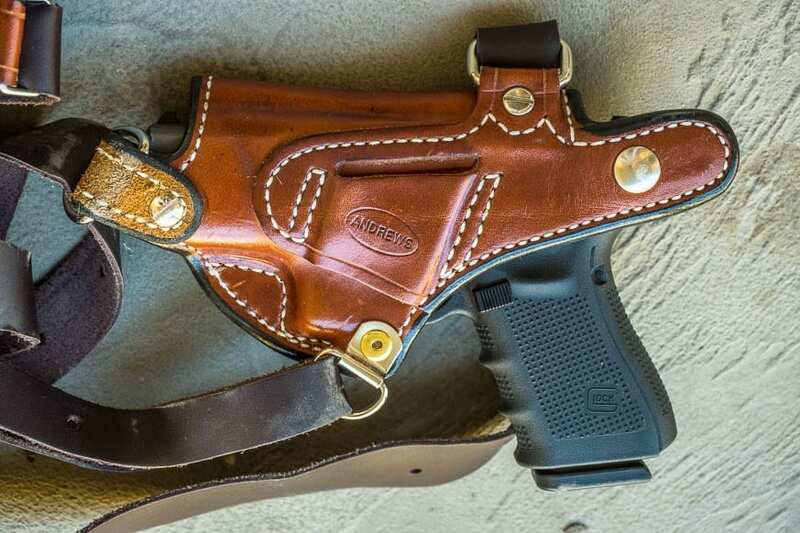 The holster, on the other hand, is made of a heavy, cowboy sort of leather, stamped with the Andrews brand. Its weight helps balance the rig—the opposite of top heavy—keeping the equipment where it should be. Sam shapes each holster to fit an exact model of gun, in my case a Glock 19, and you’ll see this in the contours of the molded leather. I ordered the regular-sized Monarch Shoulder Rig, but Sam also makes an XL, because “some customers can’t fit their shoulders through a doorway.” That comment made me chuckle. 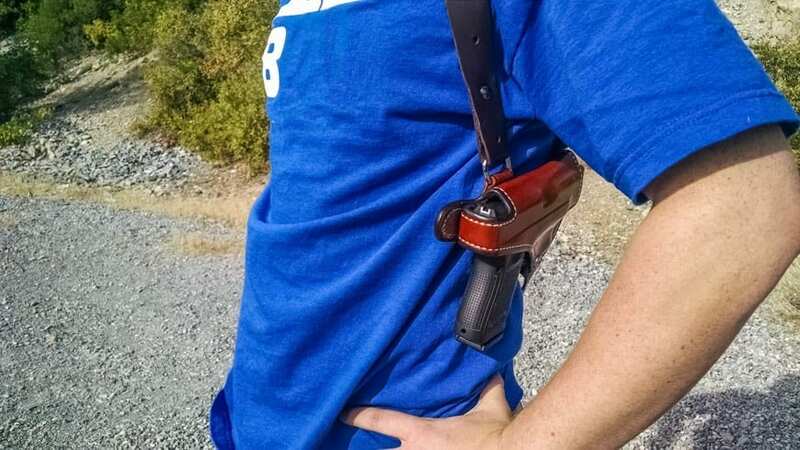 “Most shoulder holsters are designed by people who’ve never used one,” said Sam. By contrast, he has years of law-enforcement experience and knows what functionality is needed. Even today, he tinkers with his designs, intent on finding what works best and what’s most comfortable. He told me this iterating makes the job fun. It also means he takes feedback from customers seriously. 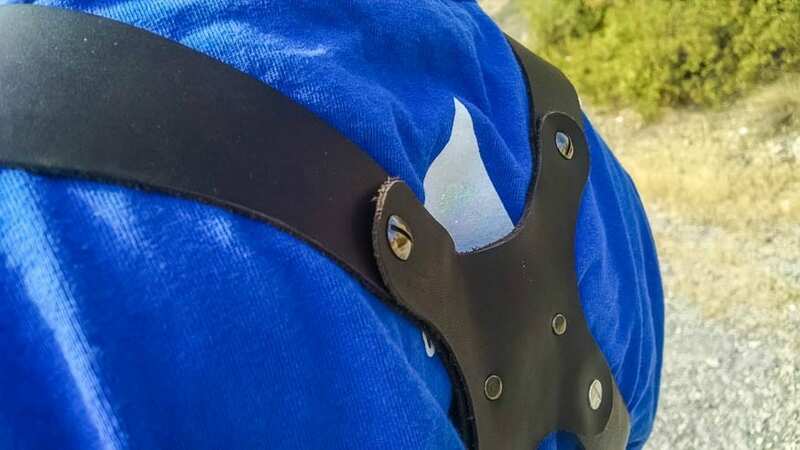 One feature that grew out of this expert knowledge is the back strap, which steadies the rig and keeps it from swinging, particularly when you’re bending down or leaning forward. It’s a helpful feature that you won’t find on competitor’s rigs. 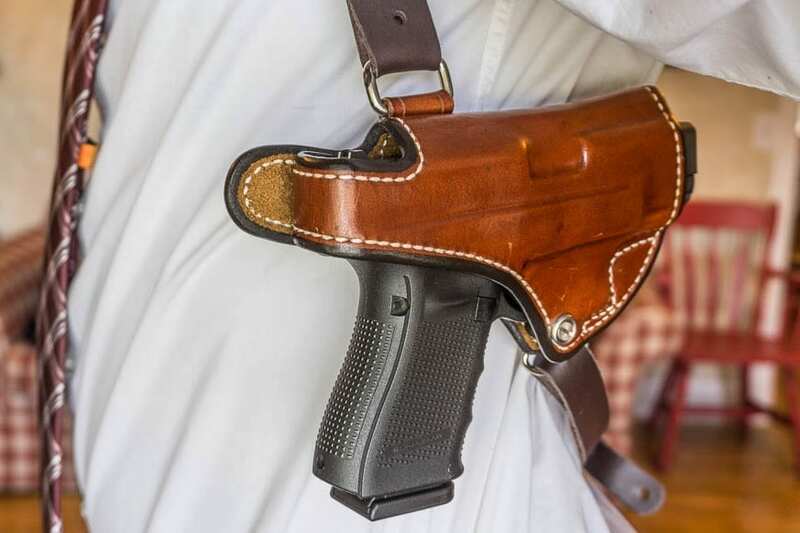 The holster is snug and grips the gun tightly even without the snap. In fact, there’s a specific screw outside the trigger guard that will let you adjust this tightness. 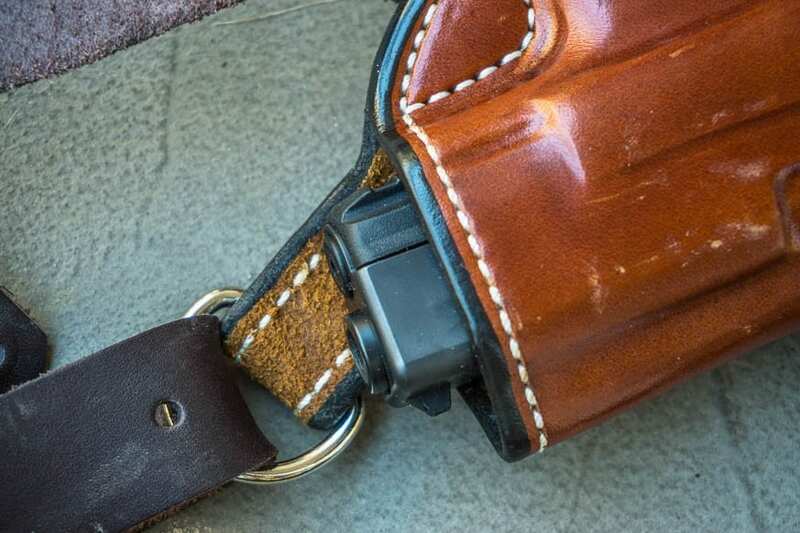 The holster snap is directional (this fact was even marked with a tag). That means you don’t snap it on straight down, but sort of at an angle, like you’re hooking over a latch. Just something to be aware of. 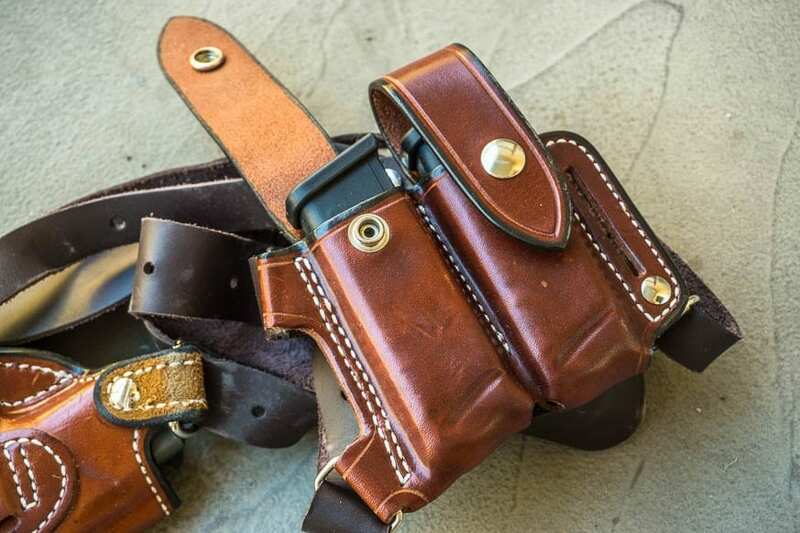 The holster also includes a belt strap, so you can take it off the shoulder rig and put it on your belt. I’ve worn this rig a lot, for hours and hours. Since I don’t regularly carry a gun, I wore it during more mundane activities: making an omelette, doing pushups and pullups, watching Stranger Things, doing laundry, and driving to the shooting range. I’ve put in enough time to confidently say that this rig is very comfortable—I’ve even taken a nap wearing it. I love it. There’s one functionality caveat I should warn you about. 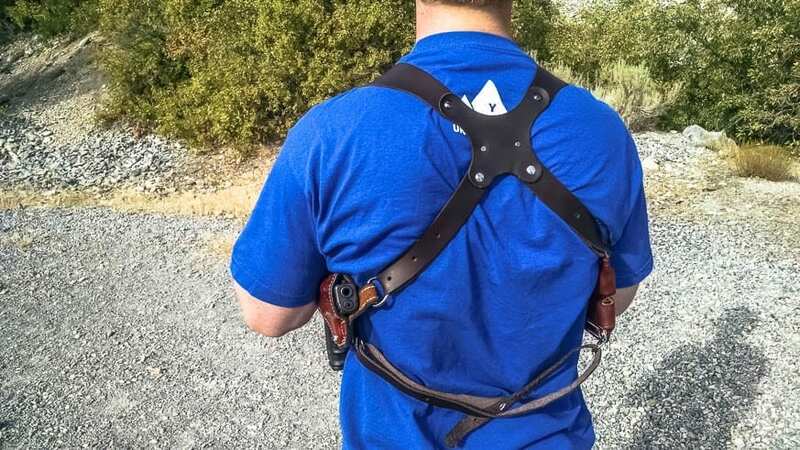 The barrel of the gun points horizontally behind you when you’re wearing this rig. It might even point slightly up, depending on how the straps are situated. This means the gun points at people during regular use. I don’t consider that a safety issue, but it made a few bystanders uncomfortable as I wore it. The Monarch design is beautifully simple: four leather straps held together by two layered cross-pieces and a bunch of thumb screws. I will mention that when I first got the rig, the suede underbelly shed all over my shirt. Now that I’ve used it a bit, the shedding is gone. Interchangeable pins in the shoulder straps make the rig adjustable, which is great. You can unscrew them with just a fingernail, but the thread angle is so shallow that I’ve never worried they might come loose. I changed my rig to make the top section (above the cross) longer and the lower section shorter. This shifted the cross more squarely between my shoulder blades (I’m all about the look). In my mind, this connection with the movie business serves as a solid endorsement for the aesthetic. 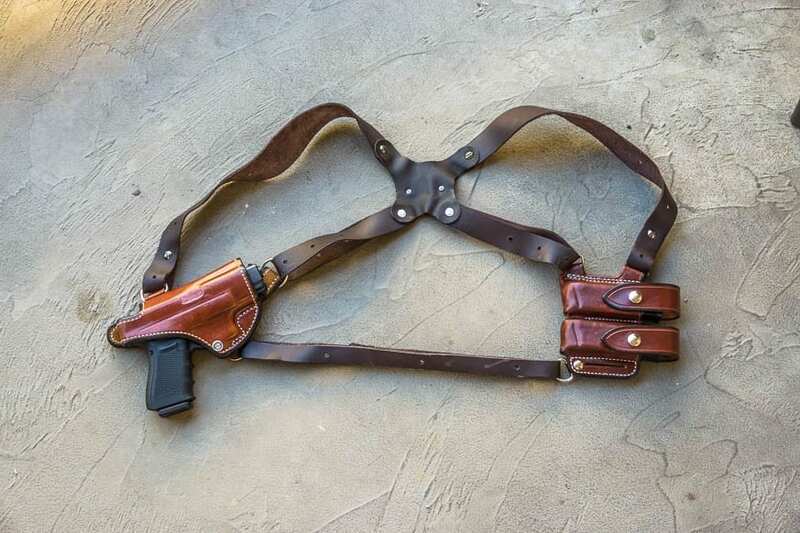 I love my Andrews Leather Monarch Shoulder Rig and Holster. It’s a fine piece of craftsmanship that looks awesome and works even better. Seriously. I’ve given you details on what I like with a couple very minor caveats. Overall, I think it’s a fantastic product. Normally a link to the product page would be enough. In this case, I’ll also link you to Sam’s contact page. 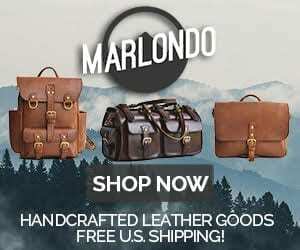 When you call, tell him J at BestLeather sent you. 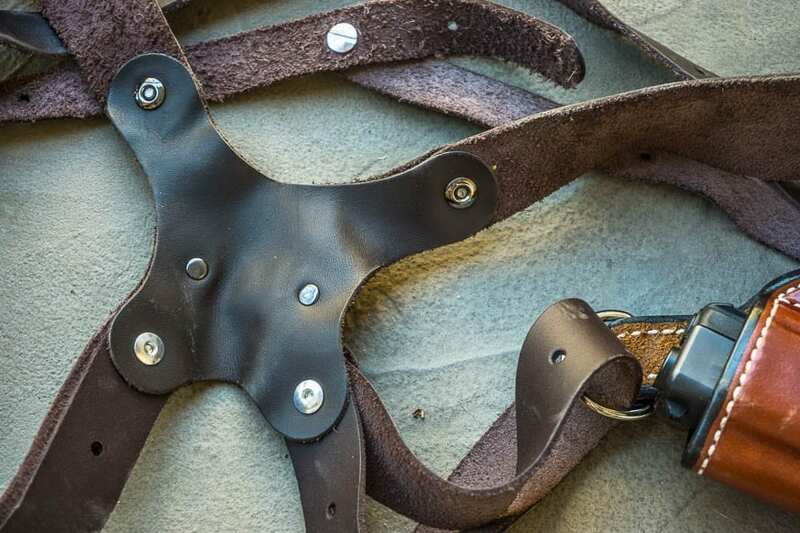 8 Comments on "Andrews Leather Monarch Shoulder Rig and Holster Review — $250"